McDougall Street, Kirribilli, has a purple patch in early November each year as the jacaranda trees bloom. Under arrest and maybe soon behind bars: a suspicious character is detained outside the prime minister’s residence. 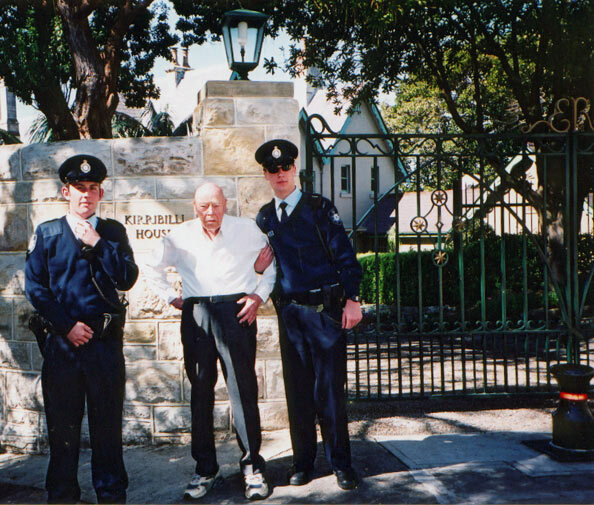 The helpful officers will doubtless do the same for you if you check out Kirribilli Avenue, Kirribilli. 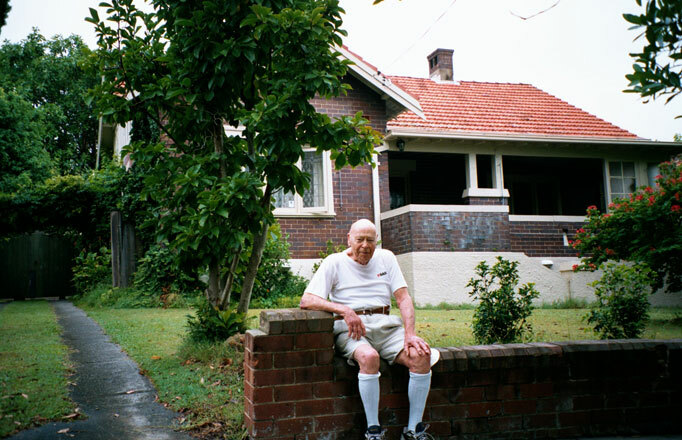 Rest and reflection at 84 Austin Street, Lane Cove – my home from 1943 to 1963. 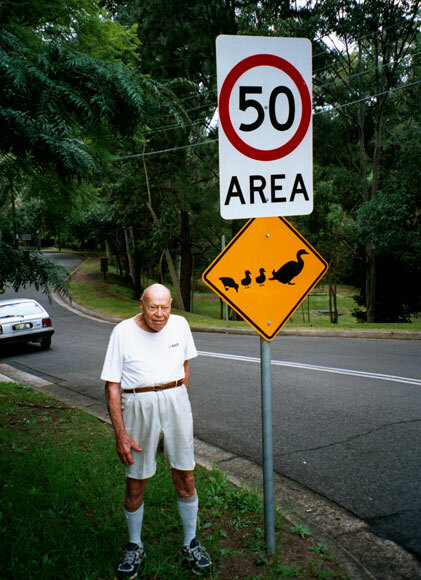 After nearly 90 years of hearing his surname mis-pronounced in a certain way ("Waddle"), Alan felt quite at home next to this sign in Best Street, Lane Cove. 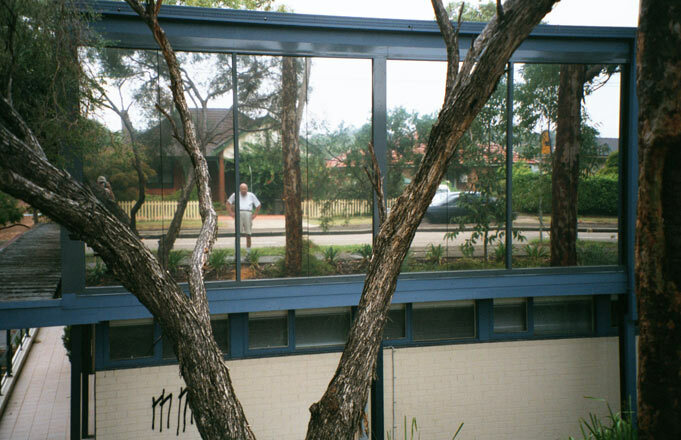 Trees grow inside the office as we look out the window at Alan standing outside. Either that, or these are stunning window reflections along the whole frontage of the Talman building in Burns Bay Road, Lane Cove. 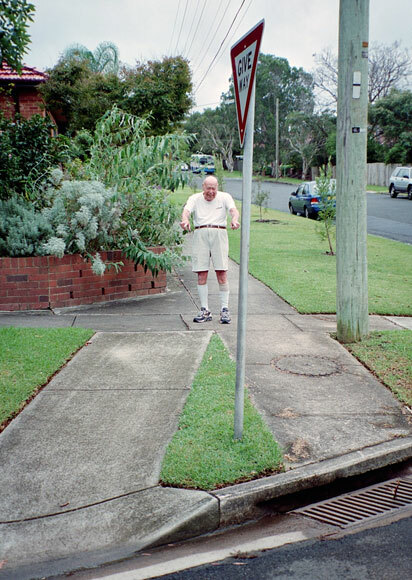 A good map would indicate the hidden dangers, here in Ross Smith Parade, Lane Cove, of the path on the right. No, it's not South America, where these water vines belong, but Lane Cove (in an area formerly called Osborne Park), just eight kilometres from the centre of Sydney city. 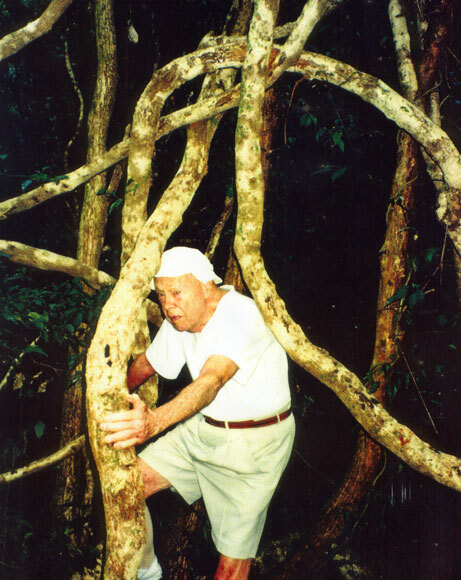 The vines contain plenty of water and are the traditional water source in undeveloped areas of South America. See them or get tangled up in them from tracks starting from Ronald Avenue or Osborne Road (near Second Avenue). 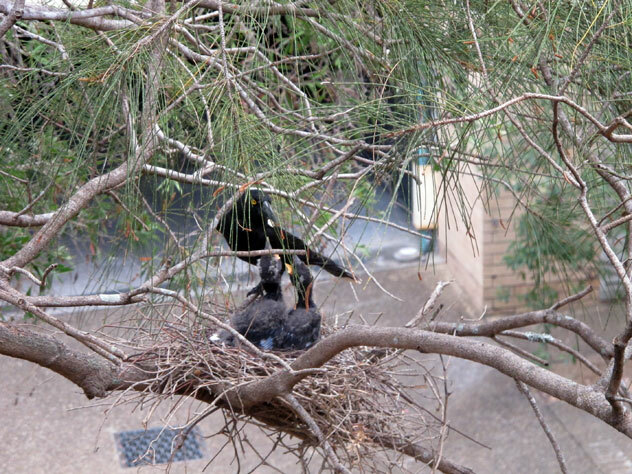 In Lane Cove, amidst a large complex of town houses and units, a precarious feeding station. 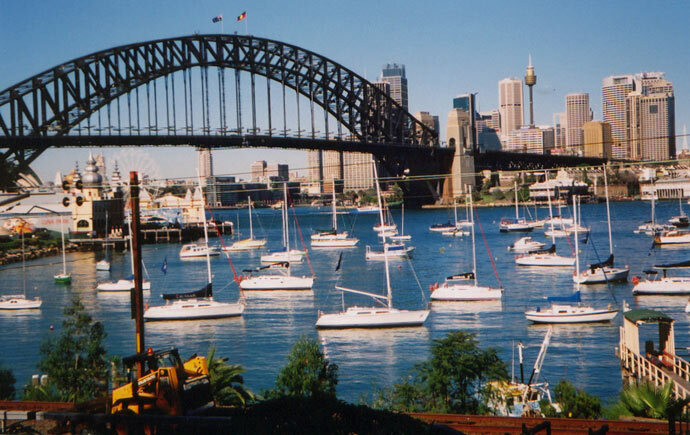 What park offers views such as this of Lavender Bay, the bridge and the city? Watt Park, accessed by Lavender Crescent. 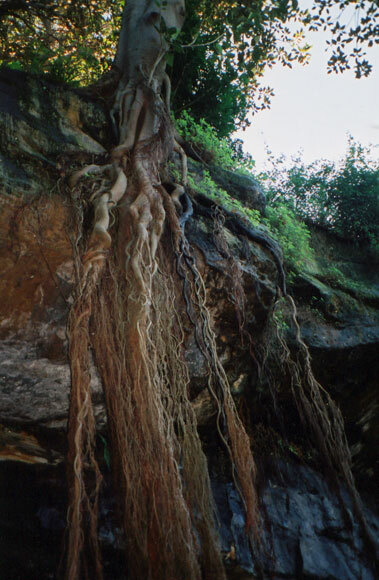 There are more roots than tree alongside Lavender Crescent, Lavender Bay. The reserve is alongside the bay of the same name. It’s well worth the level walk around the bay to and under the harbour bridge. 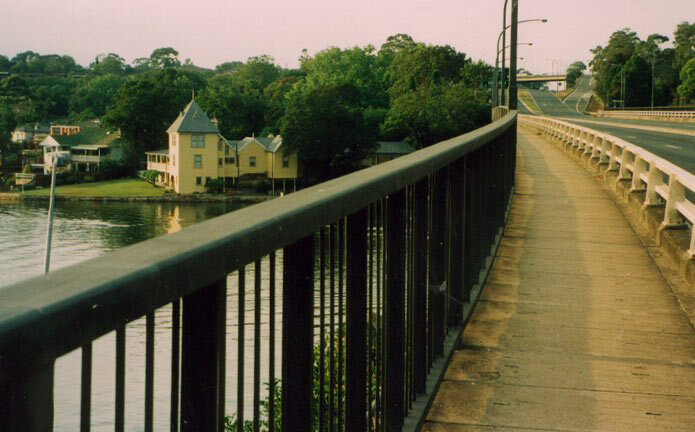 Linley Point occupies the top of a cliff overlooking the Lane Cove River. One of the small suburb's boundaries is Fig Tree Bridge.